State Senator Julie Kushner (D-24th), left, speaks with Secretary of the State Denise Merrill and state Senator Will Haskell (D-26th) following a Jan. 15 press conference regarding early voting in Connecticut. 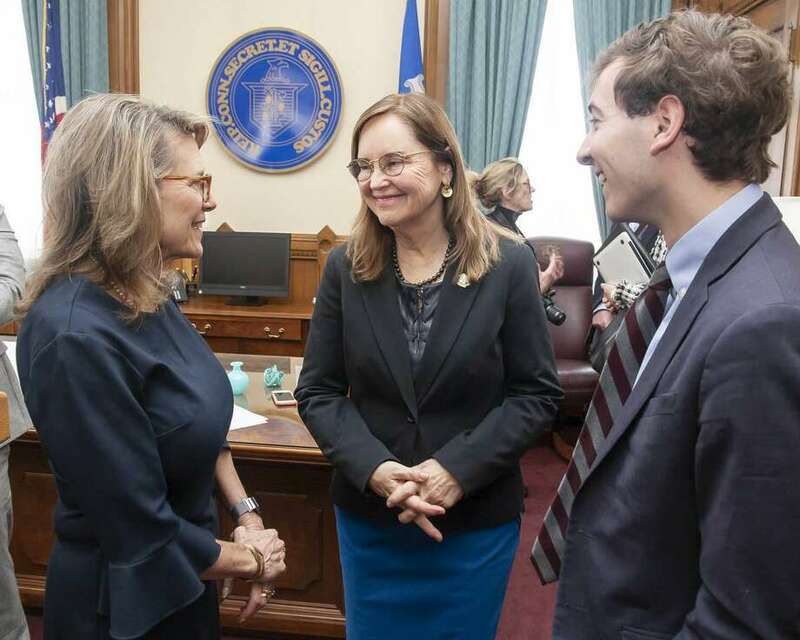 State Senator Julie Kushner (D-24th) recently joined Secretary of the State Denise Merrill to announce that they are seeking an amendment to Connecticut’s constitution that would allow Connecticut voters to enjoy a minimum of three days of early voting. Kushner represents Sherman, New Fairfield, Danbury and Bethel. Last year, nearly 40 million Americans voted prior to election day, which was a record for mid-term elections. Connecticut is currently one of only 12 states in America with no provision for early voting, and is one of only nine states that actually requires voters to provide an ‘excuse’ in order to vote by absentee ballot. The proposed constitutional amendment - which would need legislative and voter approval - would allow for at least three days of in-person, early voting in Connecticut.